Our most recent list of Field Trips and Bird Walks has now been updated. Beginning birders are welcome on all trips. • Always Check our website http://nvabc.org/ for updates/cancellations on field trips. • If in doubt about a trip because of bad weather or possible cancellation always call the assigned trip leader. When reservations are required, please contact the assigned trip leader. 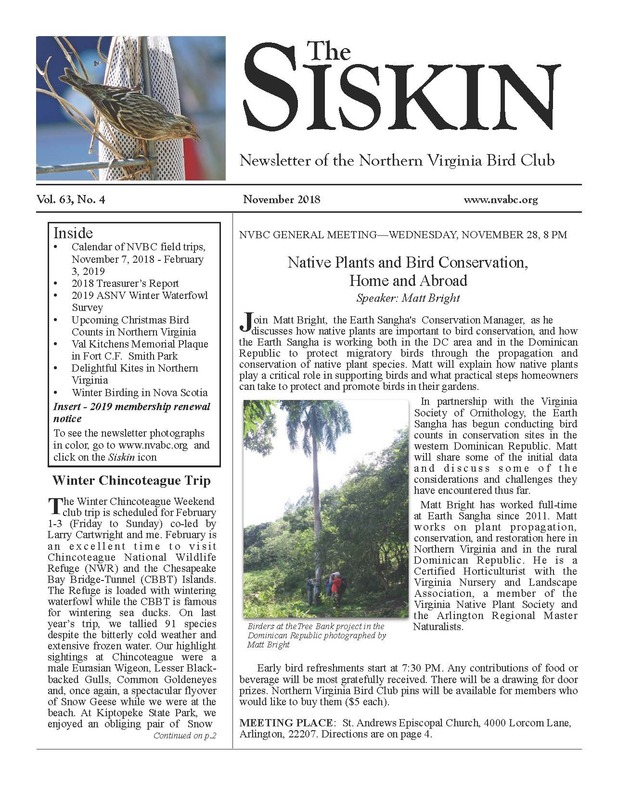 on Page 4 – Upcoming Trips and Events – of the most recent Siskin.